June 5, 2018 – DKI, North America’s largest disaster restoration contracting organization, today announced that Peniel Environmental of Milford, NH has joined the DKI network. Through its new DKI franchise membership, Peniel can employ DKI’s 24-hour call center, top of the line equipment and technology, and use other resources to enhance its ability to serve its customers. Peniel also gains access to DKI’s sales and marketing resources and training workshops, which ensure that it remains abreast of all changes in this rapidly evolving industry. Owner Gail Cook is pleased and honored that Peniel has been recognized by DKI as a valued restoration firm, meeting DKI’s high standards for membership. Being a part of the DKI network provides Peniel the opportunity to work with the finest quality contractors in the industry and develop its scope of service. “Peniel Environmental is excited and looking forward to a great working relationship with DKI,” said Cook. 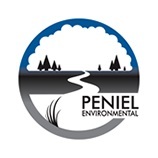 For nearly a decade, Peniel Environmental has been providing innovative environmental solutions for homeowners and commercial property managers across New Hampshire, Massachusetts, Vermont and Maine. Whether a customer experiences water, storm, fire and smoke damage or mold or asbestos, Peniel offers a unique and careful approach to clean up. With trained technicians, they demonstrate the utmost respect for you, your home and your belongings. Call (855) 712-8434 for emergency assistance, or visit www.penielenv.com to learn more.